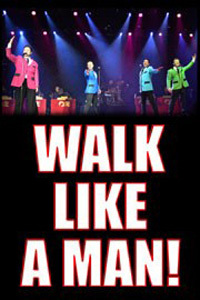 The guys from Jersey are back with the high energy music of Frankie Valli and the Four Seasons! This time the show includes a live band and will rock the Historic MainStage! Songs include Sherry, Walk Like A Man, Big Girls Don't Cry, Beggin, My Eyes Adored You, and You're Just Too Good To Be True. Have fun with these El Portal audience favorites!